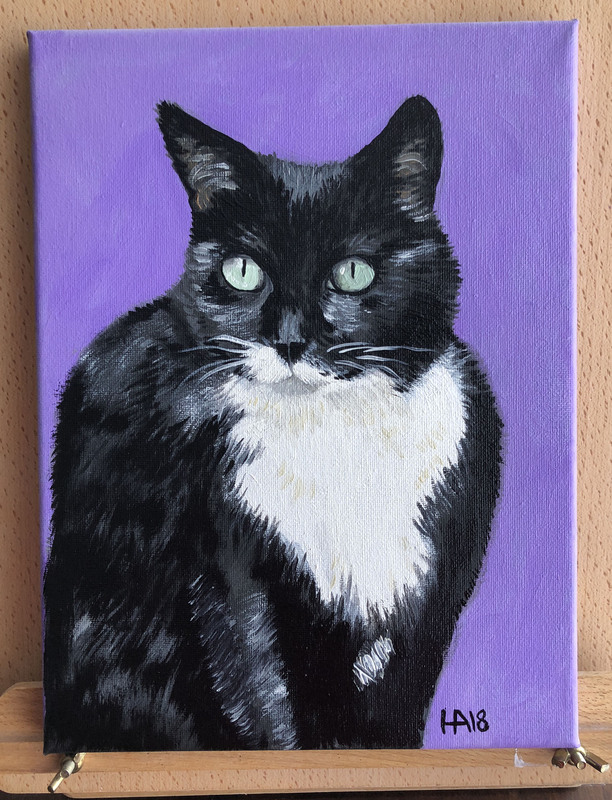 Meet George...hand painted oil on canvas protrait. 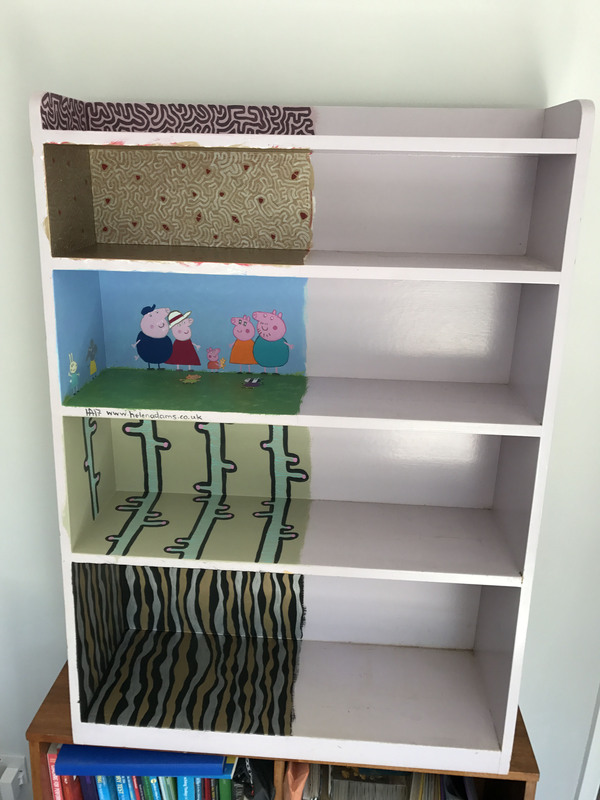 A set of shelves with a variety of hand painted designs. 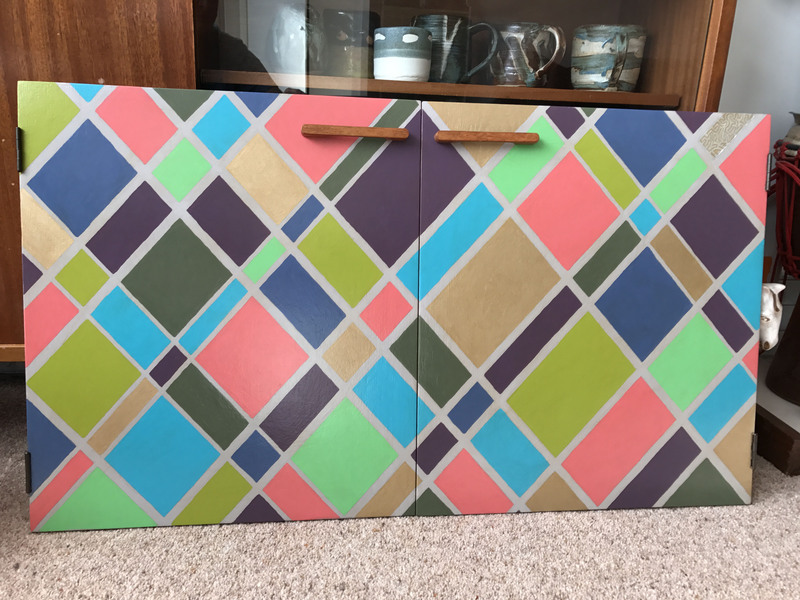 This was also donated to my local St Wilfreds Hospice shop. 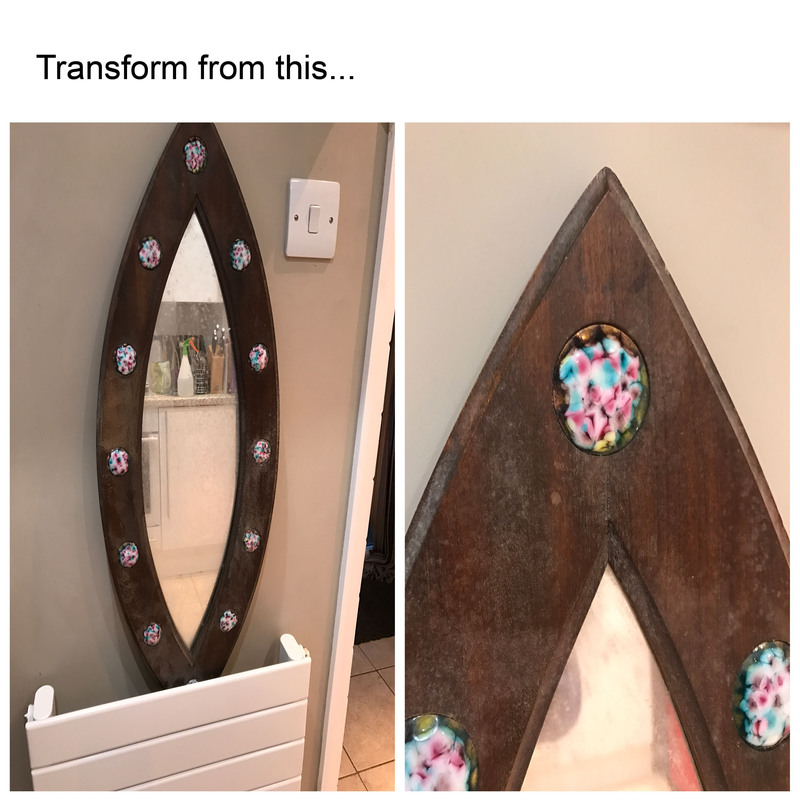 Do YOU have anything similar that I could transform so that you love it again? 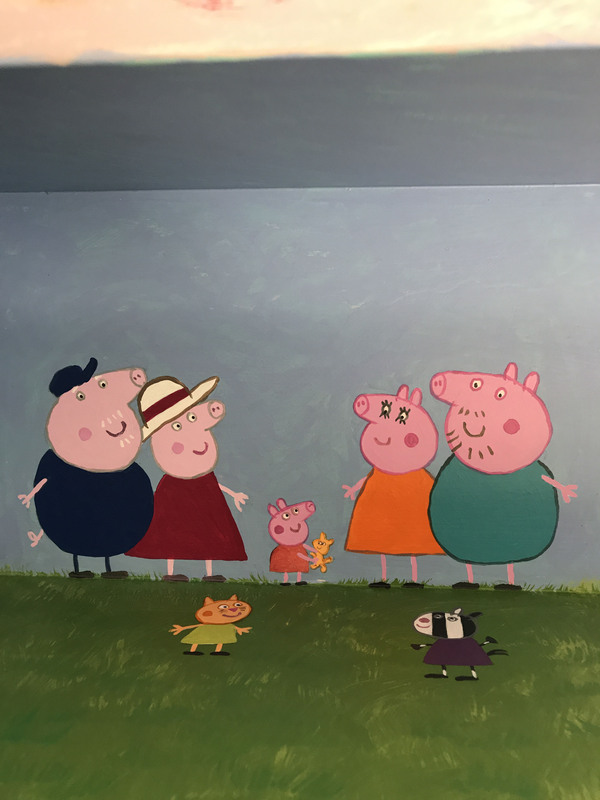 A close up of one of the shelves featuring Peppa Pig...would make a great present for your child! 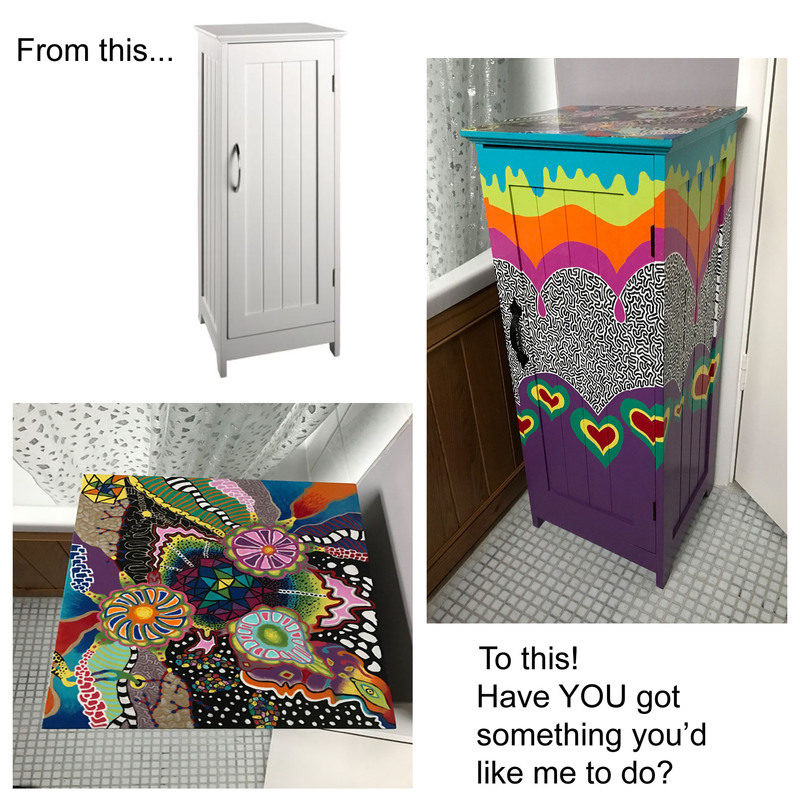 Unique, hand painted design on a set of doors of a wonderful teak cabinet! 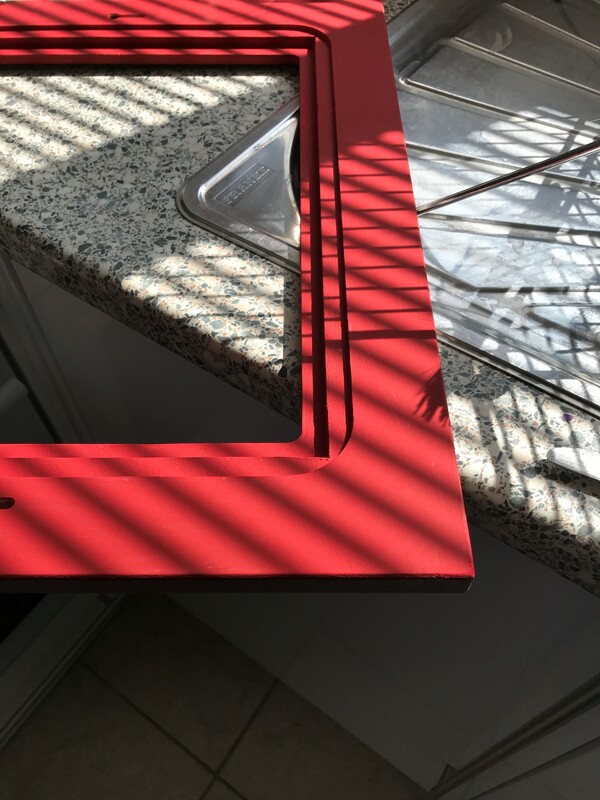 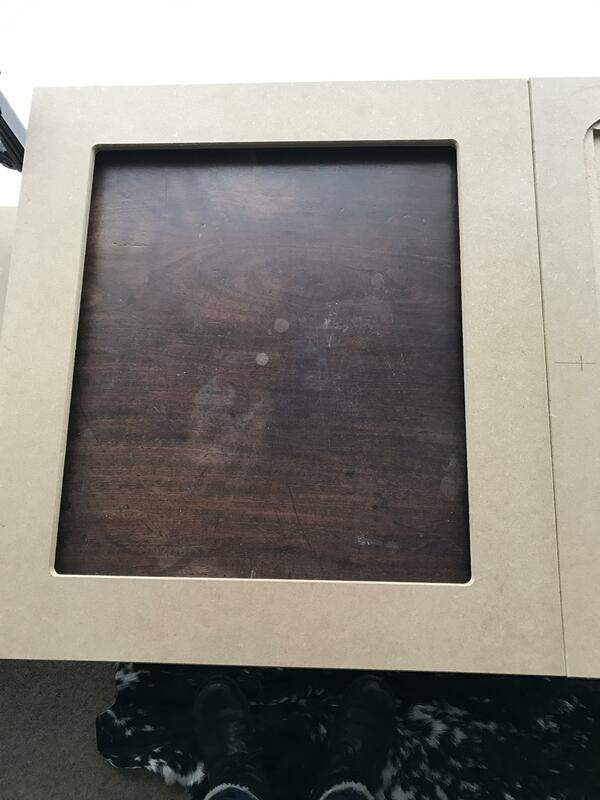 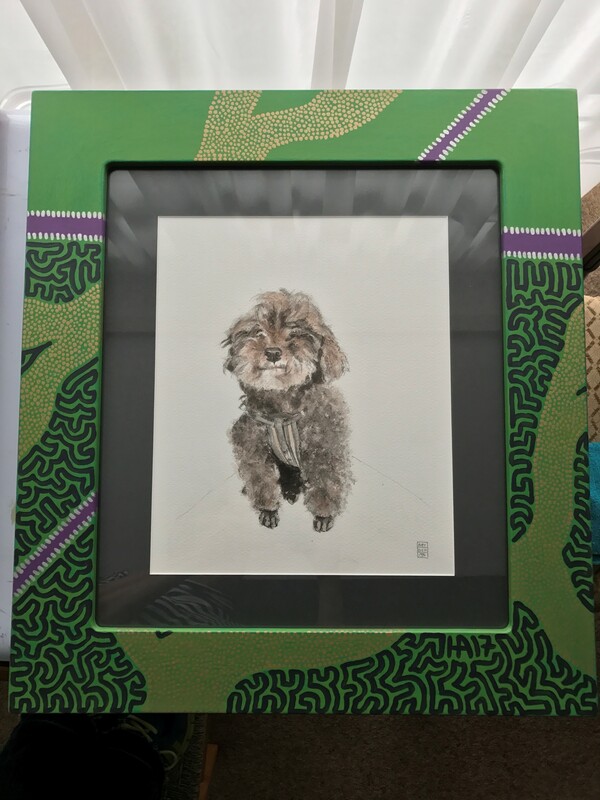 Bespoke, handmade picture frames to suit your own specifications! 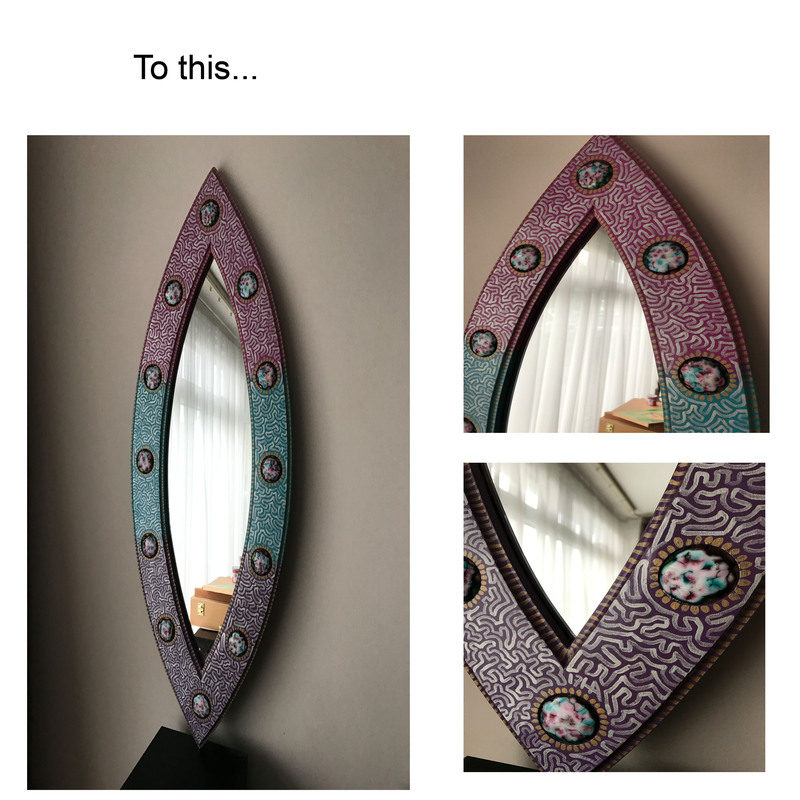 The finished article! 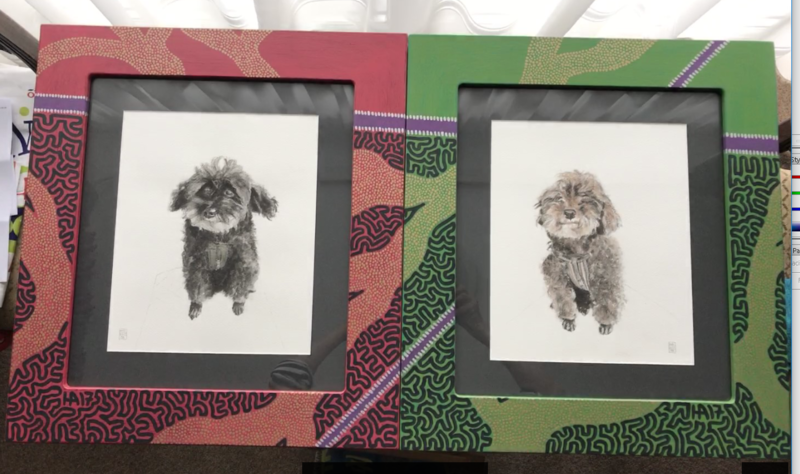 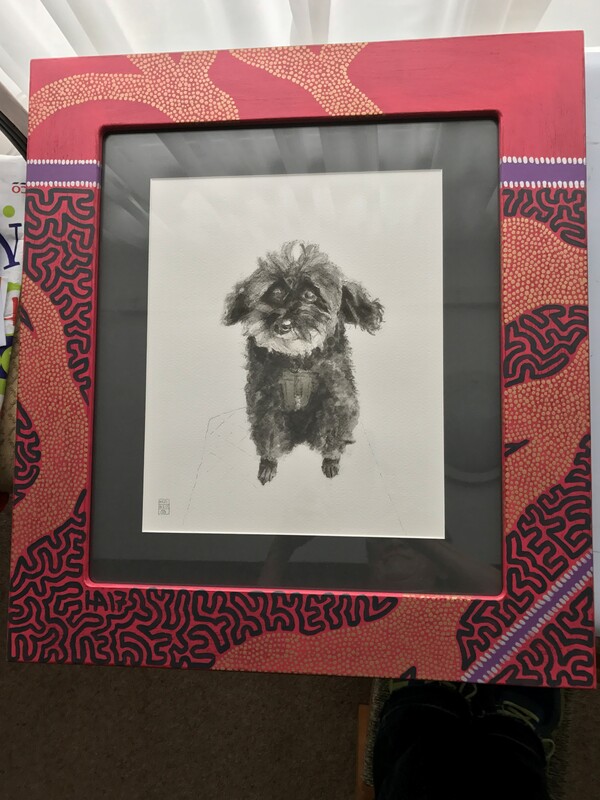 I designed these frames for my own two darling poodles! 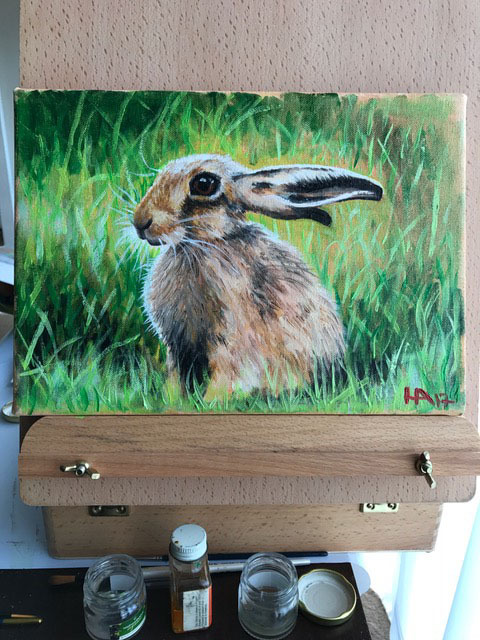 Spring Hare - my first oil painting for 2017!